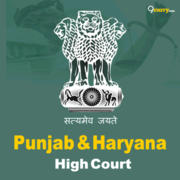 Punjab and Haryana High Court Recruitment 2018 - Apply Online for 19 Stenographer Grade-III Posts in Subordinate Courts of Chandigarh in Punjab and Haryana High Court, Punjab/Haryana. 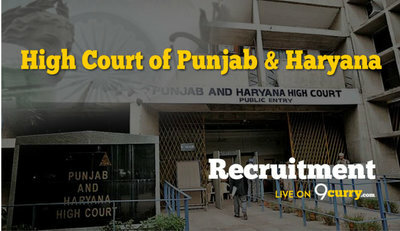 Online Applications are invited by High Court of Punjab and Haryana, Chandigarh from 02 Apr 2018 to 01 May 2018 till 11:59 PM for 19 vacancies. Pay the Examination Fee through Debit Card, Credit Card, Net Banking or Pay Offline Through E Challan. The applicants have to deposit the requisite fee by way of ‘Cash Deposit Receipt’, printed after completion of Step­I of registration, in any Branch of State Bank of India only. He/She should also have passed matriculation examination with Hindi/Punjabi as one of the subjects. On the basis of English Shorthand Test. Eligible candidates may apply online at Punjab and Haryana High Court's website (direct link is given below) from 02nd Apr 2018 to 01st May 2018 till 11:59 PM. Candidates log on to http://highcourtchd.gov.in/.